The Whole30 diet is like a weed wacker. Instead of pinpointing foods that could be causing skin issues, allergies, bloating, fatigue or other issues, Whole30 removes almost everything. It’s a classic elimination diet. Get rid of fried wings, potato chips and sweet tea and chances are you will lose weight and probably feel better. This isn’t rocket science. But, Whole30 won’t get rid of your nagging symptoms if they are due to food allergies or food sensitivities. Sugar of any kind. Honey, maple syrup, table sugar etc. Artificial sweeteners. If you don’t have an adverse food reaction to these, there’s no reason to avoid them. Alcohol. Okay, I’ve got nothing here. Alcohol isn’t good for you and it raises risk of hormone dependent cancers (like breast cancer) and stroke. Grains. Grains are an important source of fiber and vitamins and minerals. Legumes. By the way, the healthiest people on earth eat lots of legumes! Legumes are full of fiber, protein, magnesium and other nutrients as well as plant compounds important for good health. Dairy. There goes most of my protein in addition to calcium, vitamin D, magnesium and other nutrients. This includes most of your grocery store. Ghee or clarified butter. Though clarified butter has less saturated fat than butter, it still has saturated fat. Liquid oils are a better option. Fruit juice. This should say 100% fruit juice. Otherwise it may be flavored sugar water with no helpful plant compounds or vitamins. Certain legumes. WT*. So they are randomly deciding which legumes are good for you? My eyes are rolling. Coconut aminos. This is a substitute for soy sauce? I’d rather use GF soy sauce. Iodized salt because it has sugar. I’m not sure what iodized salt they’re talking about because I’ve never seen one with sugar in it. Someone who wants a challenge and a diet that is simple but not easy. Your choices are yes or no (mainly no). You won’t have to count points or log your food intake. It’s simple to grasp. However, it isn’t easy. You’ll end up cooking or assembling your own meals and avoiding many restaurants. Plus you might miss some of your favorite foods and dishes. If you want a challenge and think you can stick to Whole30 for 30 days you may notice you feel better. In fact, when people go on an elimination diet, or simply cut out certain foods for a while, and then they reintroduce these foods, they discover something that can change behavior moving forward. Fried foods make their bodies feel bad. A diet full of typical fast food makes them tired. Who wants to go back to feeling that way? It isn’t worth it. If you have any symptoms related to food sensitivities or allergies these probably won’t go away. My top 2 food sensitivities are broccoli and carrots – 2 foods allowed on Whole30. Plus there are a number of ingredients that may be causing issues (some are in the coatings on medications or supplements). You need to get tested if you have potential symptoms related to food allergies or sensitivities and LEAP is the only food sensitivity test I recommend (more on this in an upcoming post). What do you do after the 30 days? Whole30 is not a sustainable way of eating. They have a website devoted to reintroducing foods and maintaining healthy habits after you finish Whole30. Yet, every single person I know who has gone on this diet resumed their old eating habits as soon as the 30-day period was over. 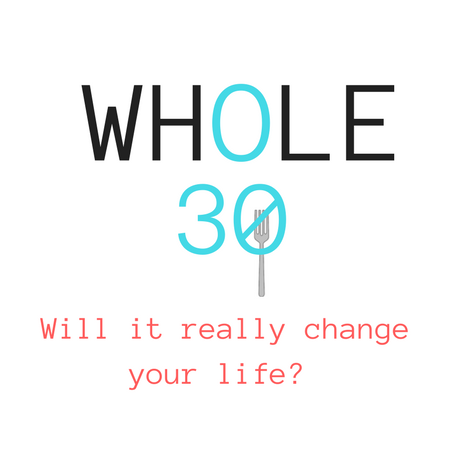 Whole30 doesn’t teach you how to live with donuts, sugar and fried foods. Their post diet guidelines tell you “no guilt, no shame” but their approach to food is full of guilt by labeling foods dirty and clean and talking about food as something one should control. When controlling one’s weight and food becomes obsessive, disordered eating or an eating disorder may result. You’ll probably feel better on this diet if your current diet isn’t full of healthy foods. In addition, if you are overweight, you will likely lose weight if you can follow this program for 30 days. That’s a big if after talking to more people today who “fell off” the diet after 5-10 days. Whole30 is an elimination diet. Elimination diets followed by reintroducing foods one-by-one may help determine foods that are causing certain issues. However, if you suspect you are having an adverse food reaction, quit looking for a needle in a haystack and get tested for allergies or sensitivities. Whole30 cuts out a number of healthy, nutrient-packed foods including legumes, grains and dairy. There is no reason to cut these out unless you have an allergy or sensitivity to one of them. Also, it is not a sustainable way to eat over a long period of time and lacks a sound transition plan back to a more normal way of eating. Posted on January 16, 2018 January 16, 2018 Categories dietTags alcohol, artificial sweeteners, clarified butter, diet, elimination diet, feel better, food allergy, food sensitivity, fruit juice, ghee, iodized salt, legumes, Whole301 Comment on Should You Try the Whole30 Diet? Every single weight loss diet works, if you follow it. All diets help you eat fewer calories so you lose weight. So how do you choose one that is right for you? Ignore the hype from your friend who lost 20 pounds. There is no one “best” diet. Pick one you can stay on. Research shows the #1 factor that determines weight loss success and keeping the weight off: sticking to the plan. They are a one-size-fits-all cookie cutter approach. Getting your clothes tailored ensures the best fit. Likewise, tailoring a diet to suit your needs ensures it will better suit you. After all, cookie cutters are good for one thing only, cutting cookies. 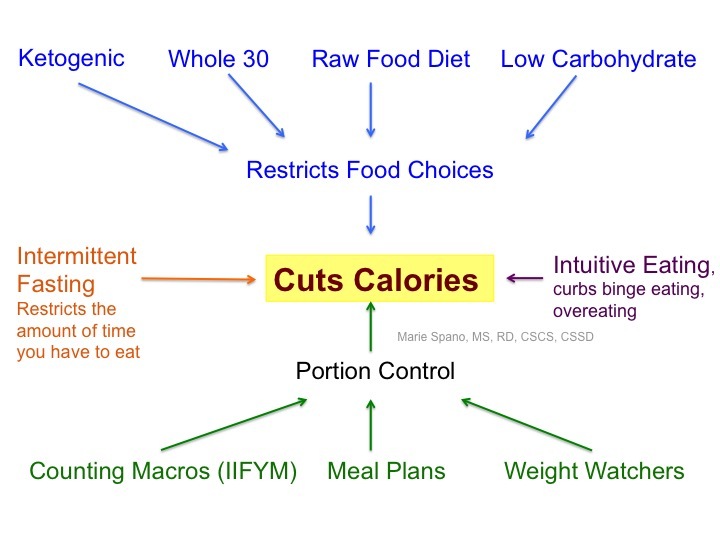 Elimination diets take decision making out of the equation. Making decisions is emotionally draining. 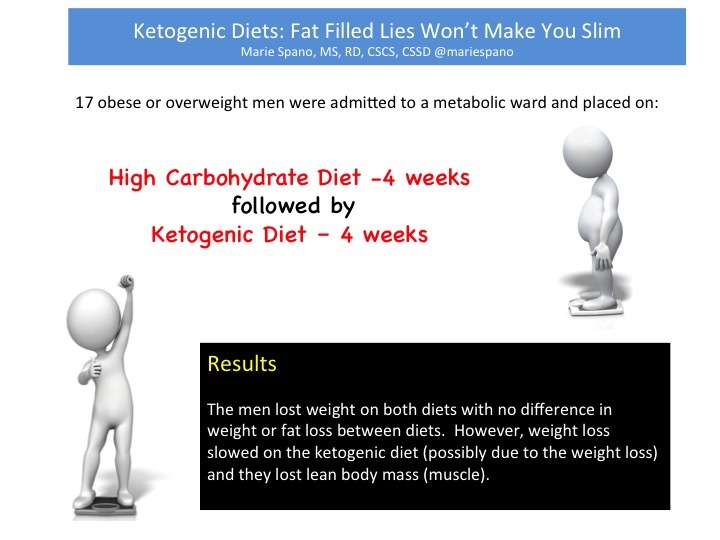 The ketogenic diet, Whole 30, raw food diet, and low carbohydrate diet are “eat this, not that” approaches. The decision is either yes or no. There’s no measuring, counting or weighing. There’s no split second indecision wondering if you can have just a small piece of cake and walk away. Counting keeps you accountable. Weight Watchers, myfitnesspal (and other apps), meal plans and IIFYM (if it fits your macros) all involve counting. Though calorie counting is not 100% precise (more on this later this week), counting keeps a person accountable. 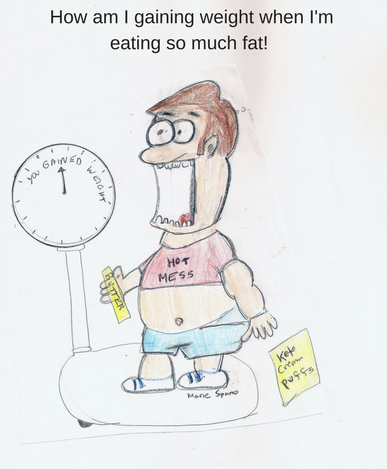 After all, you can’t claim your metabolism is slow when your food log shows 2 hotdogs, bags of chips and beer. All diets require some effort. After all, you can’t keep doing what you are doing now and expect different results. The key is finding the one that is easiest for you. Stay tuned…. 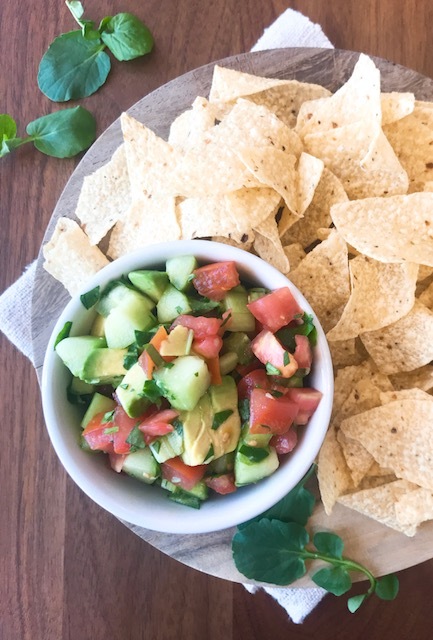 If spending time on Pinterest boards trying to figure out what you should make for dinner this week isn’t exactly your thing, save time and energy by letting a pro do the work for you. My colleagues at My Menu Pal sell individual meal plans for incredible prices (just $1.49 for 4 entrees, 1 – 2 side dishes with each entree, Nutrition Facts, helpful hints and a shopping list). Check out their current special and E-book by clicking here. If you want to do even less work, consider a meal delivery service. There are two different types of meal delivery services – one involves popping the meals in the oven and setting the timer (I call these Heat and Eat). The second kind sends you a box of ingredients and a recipe and its your job to put the meal together (Recipe Creations). Though they cost more than buying the ingredients and cooking for yourself, they save time (and time is money, especially if you work for yourself) and may actually cost less in the the long run if you frequently eat out or food goes bad before you get a chance to eat it. This option is for someone who travels often, is too busy to shop and cook or doesn’t want to cook. Your meals will be delivered to your doorstep and your only job is to heat them up. Most of these services have a limited number of selections that you will get tired of eating over and over again for months at a time. However, they also serve as good fill-in meals if you want a few per week to save some time on food preparation and you can cook the rest of the time. Good variety of meals though, like all meal services, the total number of options are limited. They add at least one new meal to their menu each week. The entire menu is gluten and peanut free. They also accommodate specific dietary preferences and food allergies. Meals are delivered fresh and never frozen. Choose from 4, 6, 9 or 12 meals per week. The more meals you get the lower the price per meal. So for instance, 4 meals per week will cost $12.50 per meal while 12 per week will cost $8.99 per meal. Free shipping. You can put your meals on pause or skip a week if you notify them ahead of time. 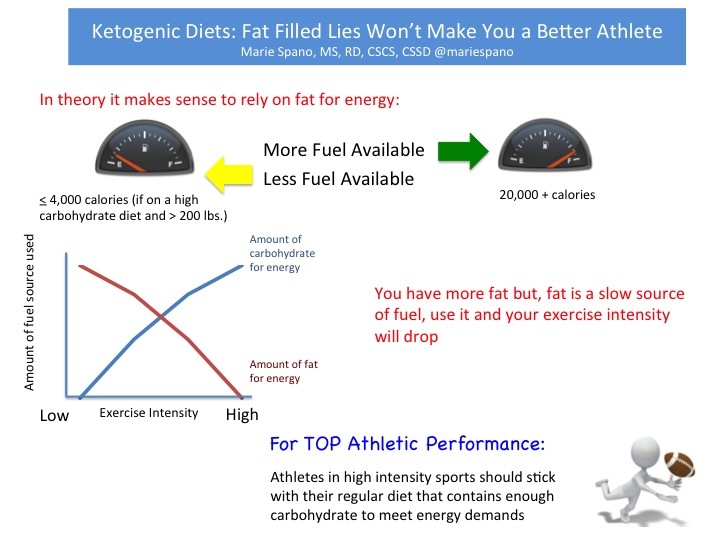 For: athletes, general healthy eating, weight loss. They have many options you can choose from including: gluten free, organic, vegan, senior, fresh meals, low carb, vegetarian meals. Choose one of these options and then a meal plan (below). Meal plans available include Standard Plant-based, Low Carb / Low Cal Plant-based, ION Performance Paleo (low carb), ION Performance Protein+ (organic veggies). Each meal is around $9 – $12. Meals are low in calories so most people will need snacks or at least 2 (or for athletes and active adults even more) Fresh n Lean meals per meal. For instance, their ION Performance+ comes in at 1330 calories for 3 meals. Meals are weighed and portioned. Each meal is $7.50 (if you order 300 meals!) or more. Shipping is $5 per meal in FL and more in other states. Nationwide. No calorie or macronutrient information listed. Starts at $8.75 per meal for 2 or more adults. Vegetarian options available. 5 and 7 day programs for weight loss. Women’s programs average 1,200 calories per day. Men’s – it doesn’t say. At 1,200 calories per day I would be concerned about muscle loss esp. if protein intake is low. Use code RD25Off for 25% off and free shipping. This service includes breakfast, lunch, and dinner options. Dinners start at 15.99 for a “regular size” meal and cost about $21.99 for a “large size” meal (free shipping). Nutrition information isn’t listed though you can customize the meals to suit your dietary needs. They include a few quacky things like detox drinks and they don’t have a nutrition expert overseeing their meals. I love how easy their website is to navigate. They have breakfast, lunch and dinner options with many meals between $5 – $8 (caveat – their meals are low in calories so most people, even those who are dieting will need 3 meals + snacks or 4 or more meals daily). For many athletes – the portion sizes will need to be 3-4x larger so that puts the meals at around $15 – $28 per meal if you are eating over 3,000 calories per day. They also have options grouped by dairy free, gluten-free, low-carb, low sodium, spicy and vegetarian. Flexible (no subscription required) and they have several options including Paleo, gluten-free, vegetarian, low-carb (< 15% net carbs, which means total carbohydrates – fiber), customized (you can specify no beef, no seafood, no pork etc.). Total daily calories include a 1,200 calorie option and 1,800 calorie option. At 1,200 calories per day I would be concerned about muscle loss esp. if protein intake is low. Active adults will likely need to supplement or order additional meals to get enough calories each day. Try promo code BCH10 or Mark40 to get $10 off your first order or $40 off a week plan. For athletes, active adults and those who want to lose weight. Perfect Fuel has 3 options: Lean (300-450 calories), Performance (450-650 calories) and Gainz (650-850 calories). Cost: $9.95 – 12.95 per meal if you sign up for 4 weeks, $10.95 – 13.95 if you sign up for 2 weeks. For: general meal delivery, delivered fresh. Options: Paleo, gluten free, dairy free, vegan, vegetarian. › Every meal is labeled with ingredients and nutrition information. › The menu always has vegetarian, paleo, gluten free, and dairy free options. They have a few different meal options including Artisan (organic, gluten-free, non-GMO, Vegetarian, and Paleo. New Orleans: there are many local options. Check them out by clicking here. This style of meal delivery is for people who don’t want to shop or measure ingredients but do want to cook. All of the ingredients are measured and delivered to your door along with the recipe. Choose this service if you enjoy cooking but you want the convenience of somebody shopping for you. 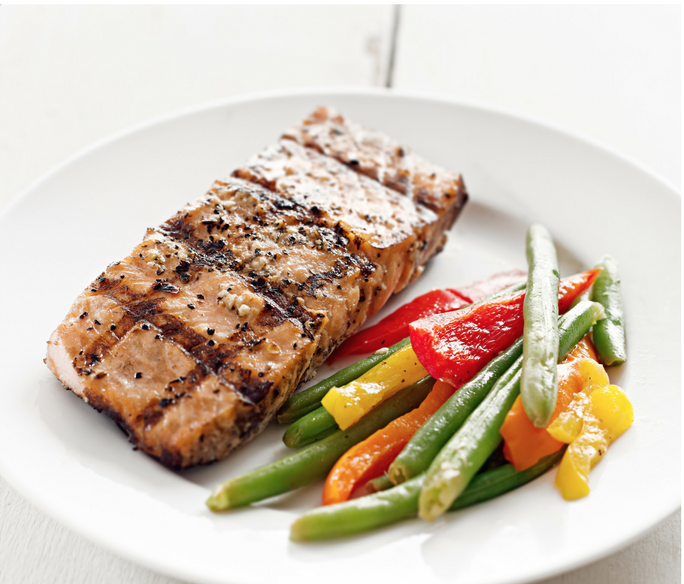 You will spend time on on meal preparation – sometimes more than 30 minutes. Advantages: no food waste, saves shopping time. Disadvantages: if you are short on time this option is not for you because you will spend time cooking. Meal delivery services aren’t for very choosy eaters or those who have several food allergies or sensitivities. Plated – this nationwide subscription service allows you to choose anywhere from 1 – 7 meals per week. They offer 9 total choices per week including vegetarian, meat and seafood options. Cost: starts at $12 per serving (for one person). Nutrition Facts: they estimate their meals are 600-800 calories each. Click on each entrée to find out the nutrition information. “We’re using Plated and love it. 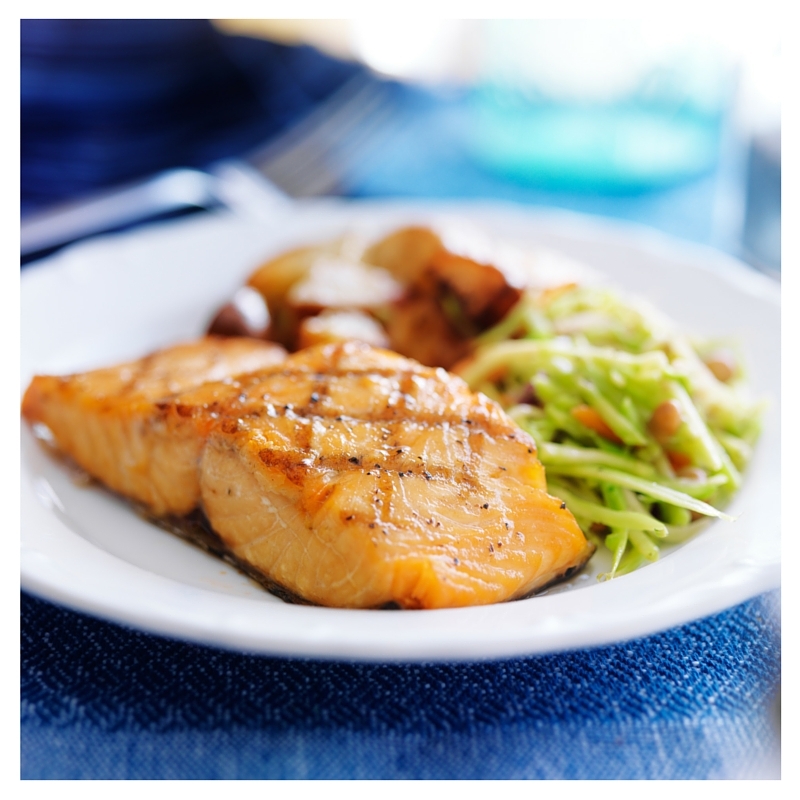 We are looking at some other ones (Blue Apron, Hello Fresh, Peach Dish), but Plated is just so user friendly and the app is intuitive,” states Brandy O’Neil, RD. Blue Apron – this nationwide subscription service is flexible and has a wide array of recipes (there are no repeats within the same calendar). Try before you buy – they list all recipes for each dish on their website (click on one and scroll down). They also offer free recipes emailed to you each week (scroll down to the bottom of this page). Cost: starts at about $9 per serving. Nutrition Facts: these are provided under each recipe with the caveat that different sizes of produce and amount of oil used will alter the nutrition facts. Hello Fresh – this nationwide delivery service has three different choices and will, omnivores (meat eaters), vegetarians and a family box. Cost: starts at $8.75 per person. Nutrition Facts: none that I could find. They estimate each meal contains 500-800 calories per serving. 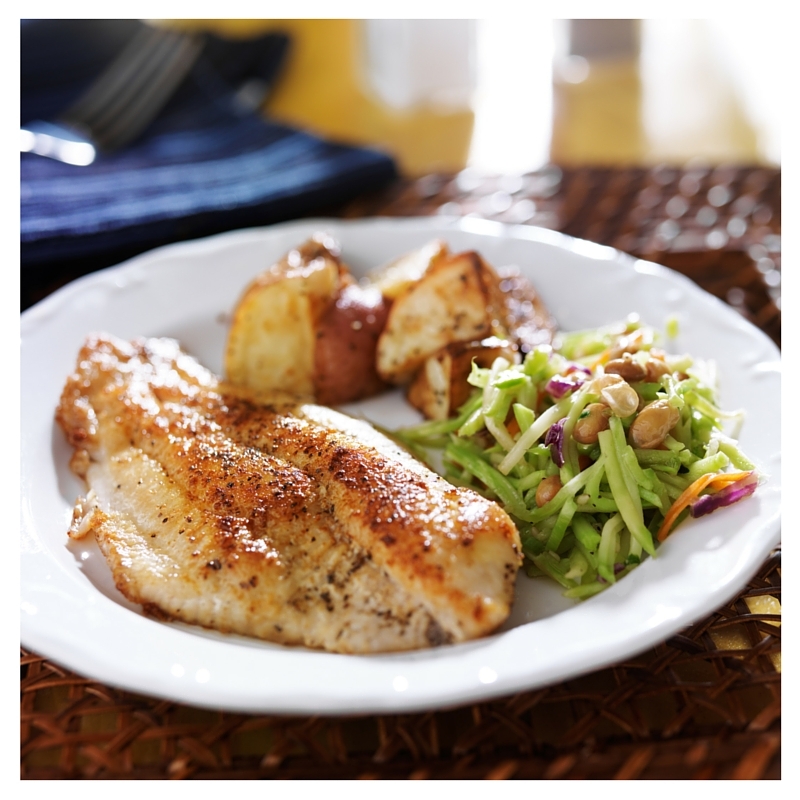 Peach Dish – Southern cooking delivered nationwide. Cost: though this service is $12.50 per meal, there’s additional shipping fee in several states including AZ, CA, CO, IA, ID, KS, MN, MT, ND, NE, NM, NV, OK, OR, SD, UT, WA, WY. Nutrition Facts: listed as a separate tab on each recipe. Check out this review of the best meal delivery services by reviews.com. If you’ve tried any of these meal delivery services, please leave comments! Go through your cabinets, refrigerator and freezer at least once per month and throw out anything that is past it’s expiration date, freezer burned, molded, and stale or smells bad (smell your cooking oil too and if it doesn’t smell normal, toss it). Half-eaten anything that is more than a day old? Trash. This is also a great time to take inventory of what you have on hand. After taking inventory, decide what you need (sticking to your grocery list will save you from impulse buys you don’t need after looking at your grocery store circular). Essential foods include shelf stable, refrigerator and frozen foods. I like the option of preparing a meal in 5 minutes or less. Frozen and canned items allow me to do this. Cooking oil – get good quality cooking oil. Pay more for a brand you trust. Olive oil is the most adulterated food on the market so you do get what you pay for. Rice, pasta, whole grains, cereals and other similar foods. Grab a few options that you can make in a just a few minutes including couscous. Also, vary your rice, pasta and whole grains – look for black, red or purple rice, bean pastas and more. Spices & seasonings (including salt and pepper). If you don’t use these regularly get dried spices or refrigerated spices in squeezable tubes. Ziploc bags – these will come in very handy if you travel (always pack food and supplements to go)! 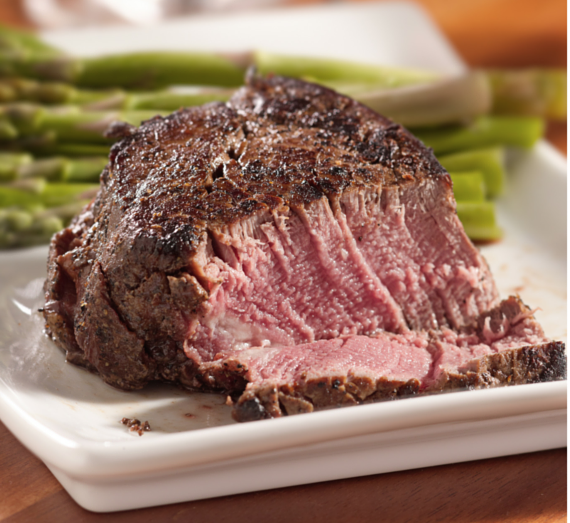 There are a number of ways you can approach menu planning but one of the easiest ways is to center your meals around the protein rich foods you plan on eating. So for instance, if you choose chicken, lean ground beef and fish, you can center 7 meals on those three proteins. Or, if your week is hectic and you are very busy, you can plan meals around protein-rich foods that take just minutes to prepare such as canned tuna, eggs and rotisserie chicken. After determining which meals you are eating each day of the week, write a shopping list by figuring out any extras you may need to buy and what staple foods you are out of. Be flexible with your list depending on the season and sale prices. Shopping in season often means you will not only get the best looking produce but you will save money too. So for instance, if your recipe calls for sweet potatoes but butternut squash is a steal – go for the squash. When you make your shopping list, you can do it on an app, in the notes section on your phone, or the old fashioned way with pen and paper. I make mine in the order of the grocery store I am shopping in so I can cross items off one by one without having to scan the entire list to make sure I’m not forgetting something before I move onto the next section of the store. If the weekly circular tempts you with sugary cereals, cookies and candies on sale, don’t pick it up. You won’t miss out on a bargain because you’ll figure out which healthy foods are on sale when you look for the items on your list – all stores flag these items for you. Whole wheat pasta, canned tuna, light cream of mushroom soup (either made into a casserole and baked along with frozen peas, ½ cup milk and chopped onions at 400ºF for 20 minutes or you can heat up the soup and mix the ingredients together and eat it. Canned tuna, light mayo, chopped celery and onions for a tuna sandwich. Grilled salmon drizzled with lemon, asparagus and a sweet potato. Fish, poultry, meat (raw meat and poultry freezes better than cooked meat and poultry because of moisture lost during cooking). Fruit, though this must be completely dry and frozen in portions (unless you want it stuck together in big clumps). The texture may change so fresh fruit that is frozen may be best used when blended in shakes. 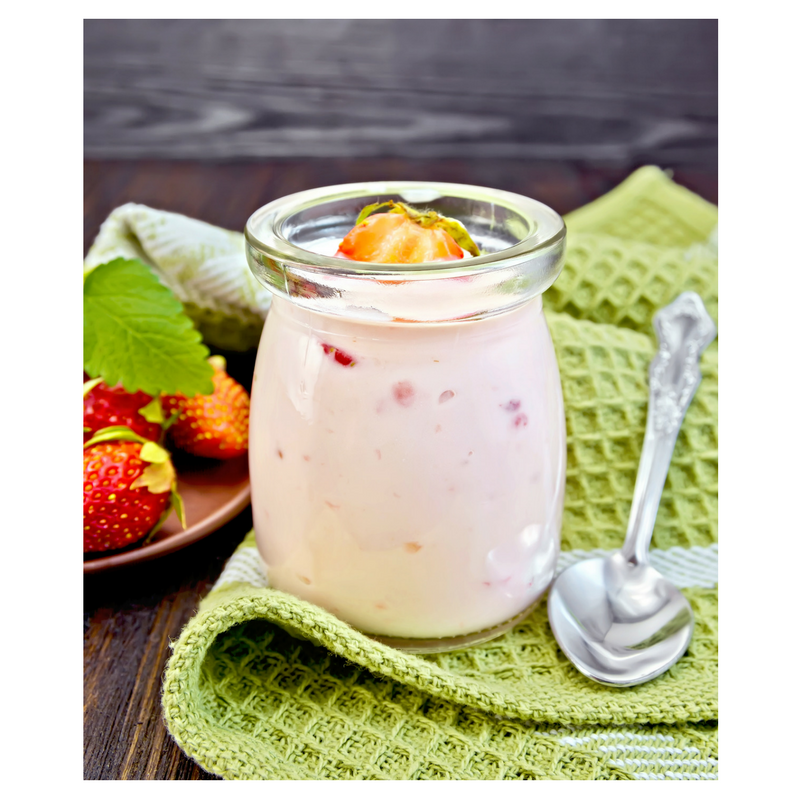 Yogurt – if you want to eat it frozen. If it defrosts the consistency isn’t so great. Thaw food in the refrigerator, a microwave or immersed in cold water only (in a leak proof plastic bag submerged in the water that should be changed every 30 minutes), not out on countertops or in kitchen sinks. Recommended Freezer Storage Time (for quality only, frozen food is safe indefinitely if left frozen). See, that wasn’t so tough! Get started planning, preparing and cooking right away. If there are a limited number of dishes you feel comfortable cooking, check out quick and easy cookbooks or resources on line. Each time you try a new recipe you’ll expand your horizons and taste buds and also be able to prepare a wider variety of meals on the fly in the future.